It has been a long time I have not made any hair mask. Last weekend my cousin sister came to my home and we both decided to make a hair mask. But what kind of ingredients we should use that was not pre-decided. We just mixed those ingredients which were available in the kitchen and that was all affordable, natural and effective. So I don't have any pictures of those ingredients and steps what we followed. First, my sister mixed 3 tsp of honey and 8 to 10 tsp of lemon juice. Then she added some curd. She felt that mask became very thin. She asked me what to do. I told her mix some besan (gram flour). She added 3 tsp besan along with 1 tsp amla powder. After that mask looks a bit thicker. Finally, I added 2 tsp Olive oil. And the hair mask was ready to use. I applied the mixture to my hair, from the scalp to ends. But my focus was at the ends of the hair because my hair ends are too much dry and rough. Then I gave a good massage on scalp. After a massage, I wrapped hair in a bun on top of my head. Leave it for 30-40 minute. Rinse out in the shower. Shampoo and condition as usual. But I used conditioner, just a small amount on the ends. This mask made my hair smoother and softer. Hair becomes Silky after I used this hair mask. 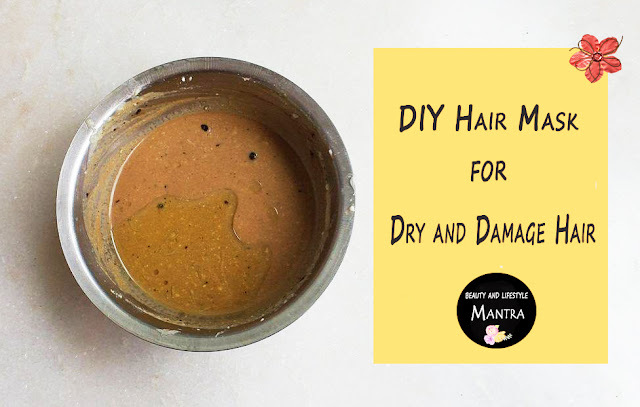 This DIY hair mask really good for repairing your damaged hairs. 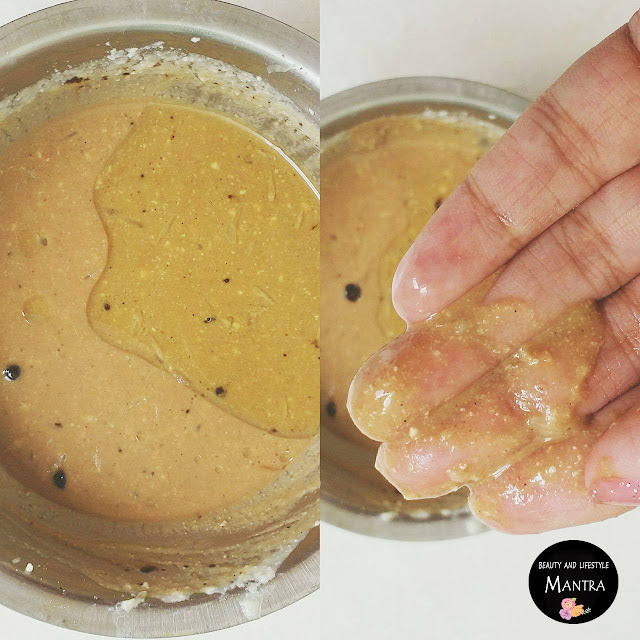 Hope you will try this DIY hair mask to make your hair looking healthy, shiny and strong.Follow Beauty and Lifestyle Mantra on Facebook, Twitter, Bloglovin and Instagram so you don't miss a post ! Sounds like an effectrive mask. I am definitely gonna try this. My hair is really dry and damaged too. I'll try this one out :) Thanks for sharing! Sounds like a great mask for dry hair. This is very good information on hair damage control, I tried Mintop hair control products by Dr.Reddy's Labs that give very good results to re-growth your hair. Lovely hacks! It's a must try for every one. I need this mask for my hair strands. Thanks for sharing. I need this for my hairs as i have dry and damaged one. Looks like an amazing DIY! Such an easy mask. With all the good ingredients.